All this talk and fun on the Builder's Base, but you didn't think we forgot about our main game now, did ya?! We've been playing the BB like mad men here, but we also spend a little time working on our main games as well (especially in between BB attacks). The Phoenix Abyss game, as well as WolfNinja, are both TH8. There's an attack strategy that we use for farming starting with TH8 that uses Healers, Giants, Wizards, and sometimes a few WallBreakers. It's pretty straightforward but man oh man - does it ever work well. This attack strat works on any and every TH8 base design - whether it is an open base, a donut style base, or even if it has a ton of compartments within the base. At TH9, it works on just about everything as well; TH8 players can easily use it against over-rushed TH9 games, TH8.5 games, and dead TH9 bases. Although it's really for farming, it can be used in Clan Wars if the base design is susceptible (and most TH8 bases are). You can also go with 16 Giants, 4 WallBreakers, 14 Wizards, 4 Healers as well. Potions remain the same either way, and you get a clanmate to shoot you over the fourth Earthquake spell and your favorite Clan Castle troops (I like Valkyries, Balloons, and sometimes a mix of a few different troops). The 4 Earthquake spells bust up the walls to get you deep into the base; the WallBreakers are insurance in case you misjudge the spell drop or to help break down walls even further into the base. You'll notice it's really not all that expensive, although it gets more so the higher your TH (I think it's around 350K for the elixir on my TH10 game, but that includes a lot more potions and troops). The way you deploy is simple - first, drop your 4 Earthquake spells at the point you want your troops to enter the enemy base. If the base allows it, you can use your WallBreakers to open the outside and the Earthquake spells to open the inside. Next go the Giants, then the Healers (aimed at the Giants), followed by 6 or 8 Wizards. Depending on how quickly the Giants get toward the center of the base, I might drop the Rage spell at that point or wait a bit longer. You'll want to hold a few Wizards back to trickle in as the front line goes down, not to mention a couple for cleanup. As the path to the juicy center of the Tootsie Pop is opened, I drop the Barbarian King and Clan Castle troops. If I still have the Heal and Rage spells, they go down now as well (in the center of the base, where all the troops are at by this time). Choosing your deployment spot is entirely dependent up on the base itself. Consider structures that are under construction (especially Air Defenses that would otherwise shoot down our Healers); where the biggest, open pockets are located; and what offers the best path to the TownHall. 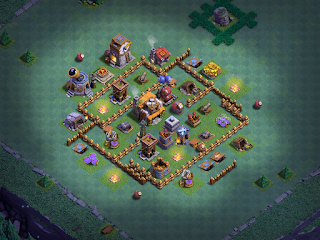 Wall layout can be a factor too - whatever gets you into the base more quickly, is closest to the Dark Elixir Storage, or otherwise meets your raid goals is going to be the way to go. I've used this attack strategy for farming going on 2 or 3 years now; it's been my preferred army comp on TH8, TH9, TH10, and even at TH11 (although...lately, you really need to use stronger army comps at TH11 with all the defenses that SC has added). At TH9 and above, the only change I make (other than adding more Wizards or Giants) is to drop the Archer Queen first and put the Healers on her for a little Queen Walk action. You also want to use the initial Wizard drop to set the funnel; that's the case for all TH levels. Be sure to watch the video so you can see this strat in action. Let me know if you use it and what you think; we've used it for a long time now and it REALLY works well. Enjoy! CoC BB - BH7 Day One! CoC BB - The BH7 Upgrade Has Arrived!